Capacitors are one of the standard components in electronic circuits. Moreover, complicated combinations of capacitors often occur in practical circuits. It is, therefore, useful to have a set of rules for finding the equivalent capacitance of some general arrangement of capacitors. It turns out that we can always find the equivalent capacitance by repeated application of two simple rules. These rules related to capacitors connected in series and in parallel. 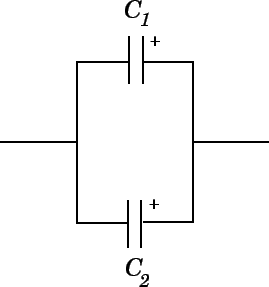 Figure 15: Two capacitors connected in parallel. For capacitors connected in parallel, Eq. (114) generalizes to . Figure 16: Two capacitors connected in series.